Fans who pre-order Forever Charlie, from the singer’s official on-line store, will gain first access to pre-sale tickets for the upcoming tour (http://myplay.me/1cv2). At the time of purchase, buyers will receive a pre-sale code. This particular pre-sale will begin on December 9 at 10 AM local time. The general public on-sale begins December 12 starting at 10 AM local time. Detailed information will be available on www.charliewilsonmusic.com. Wilson has received seven Grammy nominations and multiple awards throughout his career; he was named Billboard magazine’s #1 Adult R&B Artist and has had eight #1 records that topped the Billboard Urban Adult Contemporary radio chart including, “Without You,” “Charlie, Last Name Wilson,” “Magic,” “There Goes My Baby,” “Can’t Live Without You,” “You Are,” “Life of the Party” and “My Love Is All I Have.” Most recently, Wilson received a Grammy nomination for the song “If I Believe” in the Gospel category; he was also an NAACP Outstanding Album Award winner for the album Love, Charlie and BET presented to Wilson a Lifetime Achievement Award in 2013. For the latest on Charlie Wilson please visit his official website at www.charliewilsonmusic.com. Hey Buddy!, I found this information for you: "R&B LEGEND CHARLIE WILSON ANNOUNCES FOREVER CHARLIE TOUR WITH SPECIAL GUESTS KEM AND JOE". 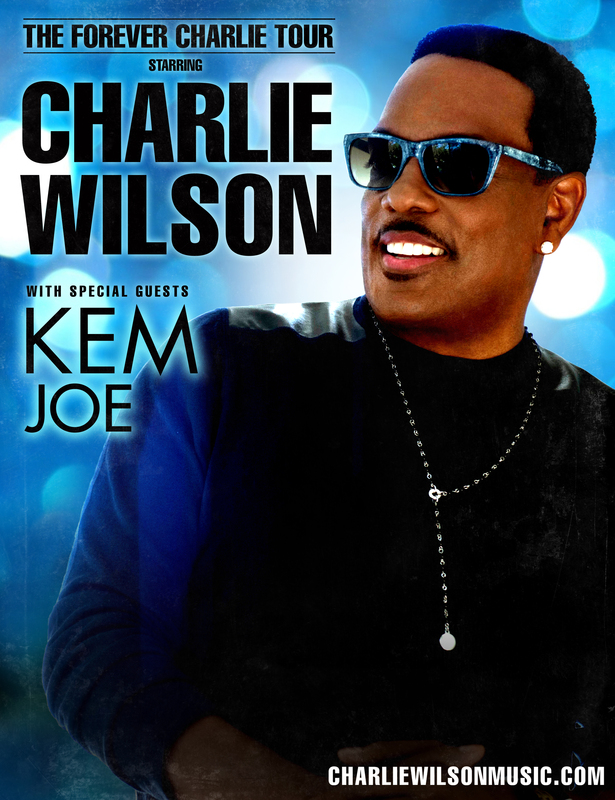 Here is the website link: https://blackmeninamerica.com/rb-legend-charlie-wilson-announces-forever-charlie-tour-with-special-guests-kem-and-joe/. Thank you.